Boasting a sleek, low-profile design and premium materials, Rally Mic Pods render remarkably clear, natural, conversational sound. 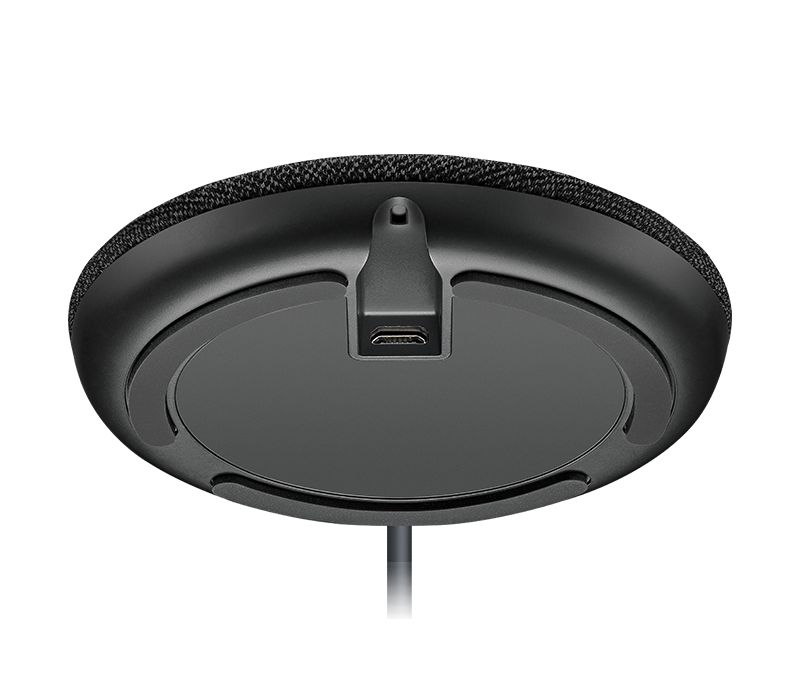 Individual mic pods contain multiple beamforming elements that focus on active speakers while automatically eliminating acoustic distractions. Up to seven mic pods work together to form a beamforming mic matrix with consistent audio coverage for every seating position throughout larger meeting spaces. 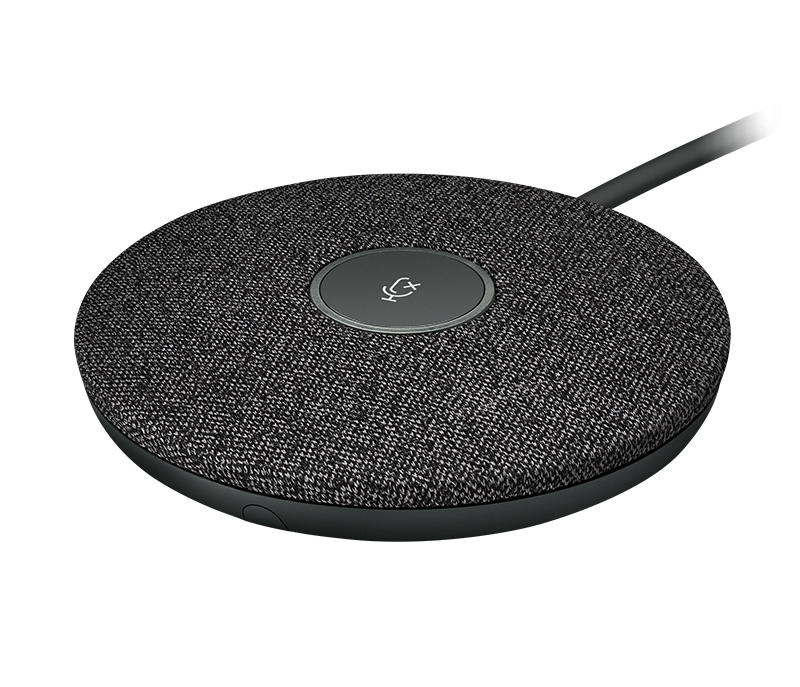 With RightSound™ technology and multiple beamforming elements in every individual mic pod, the audio focus is always automatically on the active speaker. A single mic pod provides coverage for up to ten people. Larger meeting spaces can be provisioned with up to seven mic pods working in concert to receive and transmit remarkably clear audio for every individual at the table. Up to 7 Rally Mic Pods can be daisy-chained together with a single cable connection to the Rally table hub. 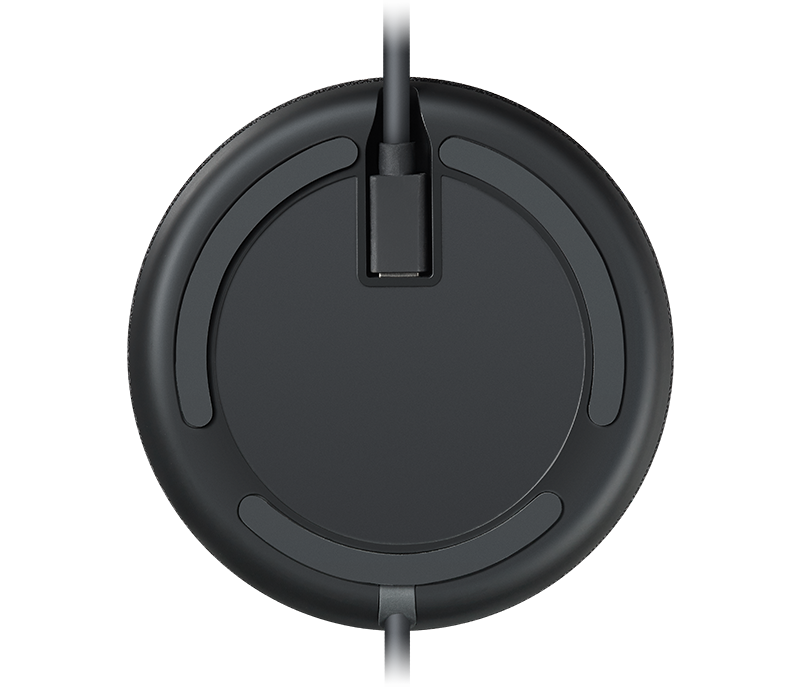 For U-shaped tables or single-wire cabling through grommets, the Rally Mic Pod Hub accessory provides three connections for optimal positioning and to bring mute control within easy reach. Rally Mic Pods are elegant and deceptively small for their remarkable range and sensitivity. 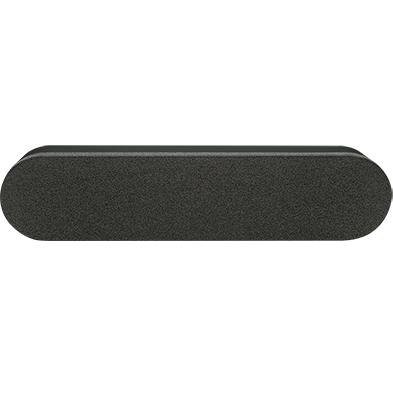 As RightSound suppresses ambient background noise by applying acoustic echo and noise reduction, non-slip pads beneath the mic pods help to isolate the microphones from table vibrations (like keyboard taps). Advanced materials resist fingerprints and stains. Plus, a red LED on top of each mic pod provides visual confirmation when muted. RightSound voice equalization and beamforming technologies mean you don’t need to raise your voice to be heard. Rally Mic Pod listens for every voice, not just the loudest ones, so you can hear and understand those with softer voices or who are seated further away. Behind the scenes, the Rally table hub can switch between acoustic beams up to 125 times/second to smoothly capture the most lively conversations. Rally is designed from the ground-up for maximum sensitivity with minimal interference. 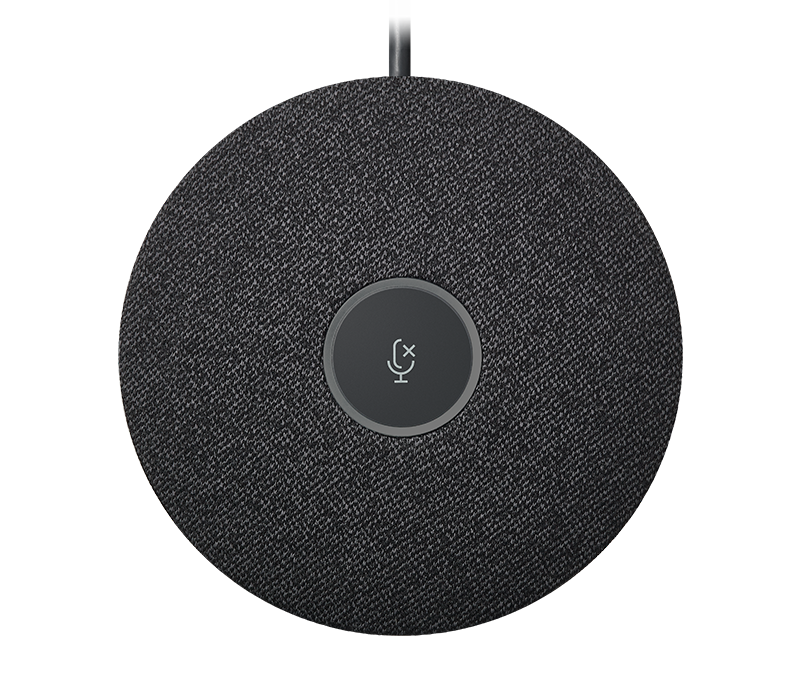 By putting speakers by the screen and microphones near the participants, Rally offers an intuitive audio experience with naturally reduced echo and interference. But that’s not all: Rally Speaker features a patent-pending suspension system to prevent interference from vibration and resonance. 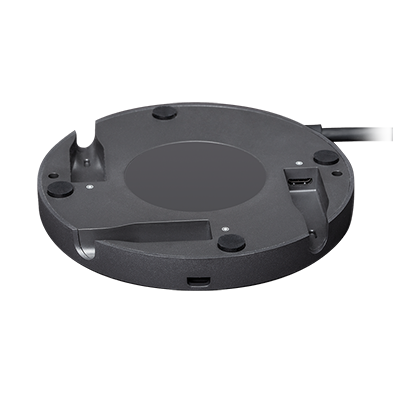 This means that Rally Mic Pod can offer enhanced sensitivity that tabletop speakerphone designs can’t match. 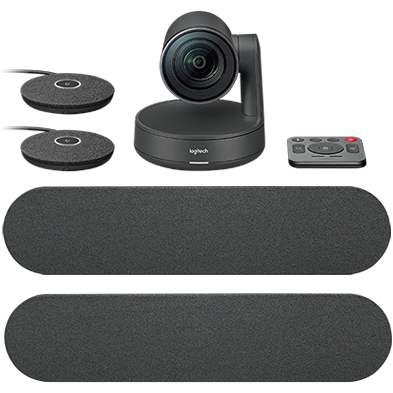 Note: Rally Mic Pods connect to the table hub included with Logitech Rally systems, and are not compatible with the standalone USB Rally Camera.